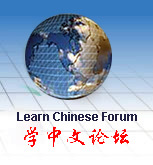 I am very happy with Need2LearnChinese customer service. I used Media Mail to ship my book. I received the shipment notice by email in 24 hours within shipped time and delivery confirmation number. The book arrived well packaged. Lynn, IL. Very pleased with the service and product. Definitely an A company. A happy customer. Hard to find items with the best price. Very pleased experience to shop your store. Highly recommend to every one who wants to learn Chinese. Jim, VA.
Hi! Like your book selection for children. My students love Kuaile Hanyu textbook. Thank you for your great service. Betty, CA. Very nice books and CDs to learn Chinese in a comfortable way. Definitely recommended. William, DC. My sister and Brother-in-law have adopted two children from china. I try to learn more about Chinese culture. I am really enjoyed your site and was most impressed with the content you offer. Jeff, NY.